Close to Bus Stop, No Car Needed, Convenient to Local Restaurants & Grocery, Great Mountain Getaway! Located in the Sandstone neighborhood of Vail, this one level, two bedroom condo is perfect for a family of four, two couples or small group of friends. There are grocery stores down the street, the North Trail head is a 10 minute walk from the unit and Red Sandstone road leads to the beautiful Piney Lake. Enter this second story condo from the stairs near the parking lot and store your gear in the closet near the front door. The open floor plan boasts a comfortable living room with wood burning fireplace, flat screen TV and deck that overlooks the beautiful Gore Creek. The fully equipped kitchen is open to the living room and dining area with a table that seats four. The master bedroom is furnished with a king bed and bedroom 2 has two twin beds that can be converted to a king as well. Both bedrooms have bathrooms just outside the door and each is equipped with a flat screen TV. The washer/dryer is located in the hallway between the two bathrooms. This home sleeps 4 comfortably in two bedrooms with 2 kings or 1 king and 2 twins. Most mountain residences, including this property, do not have air conditioning. Fans are provided in the home for your comfort. Our Sandstone 70 condo was well located to both the Vail Village and local shopping and overall met our needs very well. This is a small condo complex that lacks amenities like saunas, pools, and hot tubs but we didn't really miss these features and don't think most quests will either. We never figured out where to pickup the Vail Village bus so we spent big money parking at the resort. during our 5 days skiing. Putting this information in the Information book in the condo would be helpful. If we come back to Vail, we will likely rent this condo again. Chris, thank you for your review and feedback. We are sad to hear you weren't able to find the Vail Village bus. Please know that we, iTrip, are at your service during your stay and would have been happy to help you with this information. We would gladly welcome you back if you choose to visit the Vail Valley in the future. We stayed for four nights recently while skiing at Vail. Nice set-up - 2 bedrooms, each with a full bath. Great location - 100 feet from the bus stop and only a 5-10 minute bus ride in and out of central Vail. Would definitely stay here again. Thank you for your review, we look forward to seeing you again! Had the opportunity to stay there again just prior to Christmas, and as usual it was great. The new snow helped, but no matter what the place is so comfortable and convenient. Being right next to the bus stop made it so easy for my wife and I to get into Vail to enjoy the village, and we really enjoyed having a actual wood-burning fireplace each night and even some days while just sitting and watching the snow. Don, it is always a pleasure to welcome you and we are so happy you keep coming back! Thank you for your review, see you next time! Great as usual, back for our 2nd time. Very comfortable, convenient and enjoyable. Did lots of bike riding, some hiking, and took Red Sandstone Road next door straight up the mountain for some spectacular views and a very interesting ride out to Piney Lake and Piney River Ranch. A must trip at least once. Should have allowed more time to relax and enjoy some food and drinks, rather than just a quick canoe and hike. Thank you for sharing your experience at Sandstone 70! We are delighted to hear you took advantage of the wonderful amenities around the valley. Piney Lake is such a beautiful day trip and a must see when in Vail. Thank you for your review, we would be happy to welcome you again! What a pleasure to be in such a lovely spot in such a pretty condo. Everything I needed was there and could even sleep with a window cracked to enjoy the crisp mountain air. Beautiful grounds next to the stream too. A total pleasure. Thank you. Thank you for your kind review, we are so happy you enjoyed your stay at Sandstone. We would love to welcome you again. We enjoyed our time in Vail. This was a perfect opportunity to escape the Arizona heat. Our condo was nice... well maintained and clean. A great location with easy access to Vail Village and Lionshead. Our only issue was the lack of a screen in the master bedroom, meaning we could not open that window. However, that was quickly resolved with the purchase of two new fans. Great trip!! John, it was a pleasure working with you. We appreciate your kind review and are pleased you and a great trip! Take a Vail vacation and experience amazing skiing during the winter and a variety of fun-filled outdoor recreation during warmer months. Known mostly for its skiing, Vail is home to the Vail Mountain, the second largest ski mountain in North America. The mountain stretches over 5,200 acres, offering skiers 193 trails and 33 ski lifts. After you’ve spent the day hitting the slopes, relax in one of our premier Vail home rentals. Our Vail cabin and vacation rentals offer top of the line amenities including fully-equipped kitchens, cable/satellite TV, internet access, spacious floor plans and more! Vail is much more than a top destination for skiers and snowboarders during the colder months. It is also well known for its lush greenery and blooming flowers in the spring and summer months. During the summer the mountains are perfect for hiking and biking. Other Vail summer activities include horseback riding, white water rafting and hot air balloon rides! Annual summer events you won’t want to miss include the Vail Film Festival, Vail International Dance Festival and Vail Valley Music Festival. Be sure to book a Vail condo rental early for those events! And don’t forget to check out Vail in the fall! Experience Oktoberfest or the USA Pro Cycling Challenge during the fall months in Vail. You might even be able to sneak in some early skiing and snowboarding too! No matter what time of year you’re planning on visiting, or who you are traveling with, you’ll find plenty to do and affordable Vail cabin rentals to suit your needs. Stay in a cozy vacation home, cabin in the mountains, or chic condo in a resort. In these rentals you’ll find luxurious amenities, breathtaking views and all the comforts of home! Vail home rentals have everything you need to make your stay that more amazing! 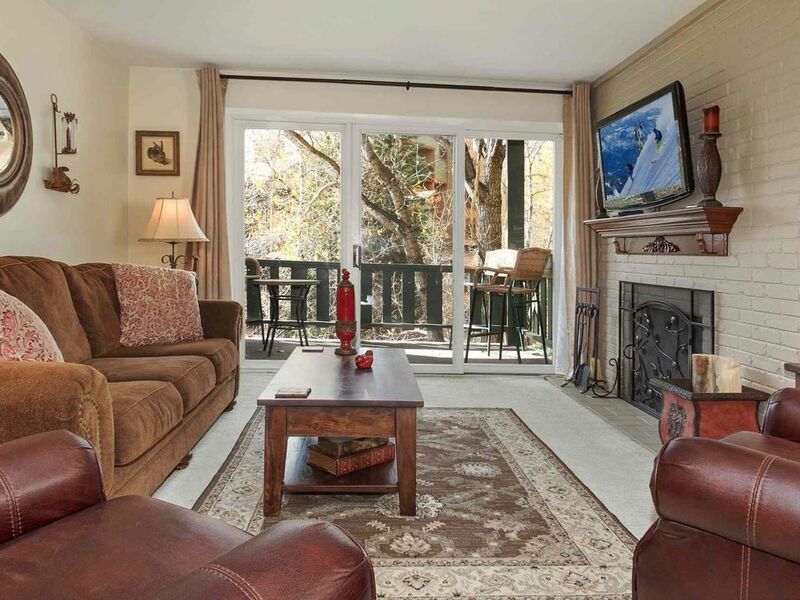 Start planning your Vail vacation by finding the perfect Vail home rental with iTrip! Major Credit Cards Accepted. Monthly rates show the rental amount of a four week trip. A 35% deposit is required upon confirmation of all reservations. A $44 limited damage waiver will be applied to all bookings in lieu of a security deposit. Local, State & Federal Taxes 9.8%.